Lenovo-owned Motorola has launched its new Smartphone Moto G6 Plus in India. Earlier Motorola had launched Moto G6 and Moto G 6 Play. The Moto G6 Plus will have 6 GB of RAM with large display. Please tell us that the company has introduced a variant of 6 Gb RAM of Moto G6 Plus only in India. In the international market, the Moto G6 Plus only has a variant of 4 GB RAM. 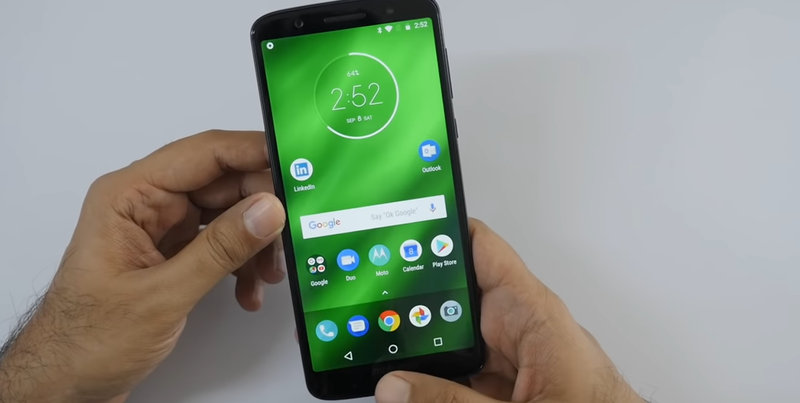 The price of Moto G6 Plus in India is Rs 22,499 and its sales have begun with the offline stores of Amazon India, Moto Hub and Motorola. Moto G6 Plus Indigo Black Color will be available in Variant. If you talk about the offers with Moto G6 Plus, you will get a cashback of Rs 3,000 for purchasing a phone from Peti M Mall, although it will have to buy from PettyM Mall app. Apart from this, Rs 4,450 is being benefited from Geo. Speaking of Moto G6 Plus features, it has a 5.93-inch full HD plus display with an aspect ratio of 18: 9 and a resolution of 1080x2160 pixels. Apart from this, stock Android Orao 8.0 will be available in the phone, though the company has said that this phone will also get an update of Android Pie 9.0. Dual SIM support, 2.2GHz Octart Snapdragon 630 processor, 508 GPUs for graphics, 6 GB RAM and 64 GB storage will be available in the Moto G6, which can be expanded up to 128 GB. Talking about the Moto G6 Plus camera, there is a dual rear camera in which one lens is 12 megapixels, whose aperture is f / 1.7, while the second lens is 5 megapixels. The front camera has 8 megapixels. Dual-tone flash light will be available with both rear and front camera. Talking about connectivity, it will get 4G LTE, Wi-Fi, Bluetooth 5.0, USB Type C, NFC, 3200 mAh battery and 3.5mm headphone jack. The battery supports turbo charging of Motorola. The company claims that the battery will back up to 7 hours in 15 minutes of charging.